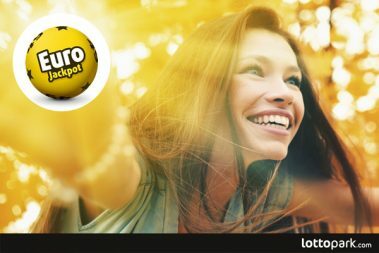 Undoubtedly, the most noticeable game among several lotteries organised by Totalizator Sportowy is Duży Lotek. Definitely, the fact that this lottery is offering huge guaranteed winnings and record rollovers works for its deserved fame. The first-tier winning is at least two million zlotys and there are lower-tier winnings for gaining as well. Picking 6 numbers out of 49 numbers correctly guarantees the main winnings whereas smaller winnings are waiting for picking five, four and three Lotto numbers correctly. What is really worth the interest of every player is huge rollovers. If the main winning isn’t drawn during the next Duży Lotek drawings, summing the first-tier winning pool will take place. The biggest rollover had been equal to 60 million zlotys so far and there were also many smaller rollovers. This biggest one for winning was available during the drawing on May 7, 2016 and then “a six” was drawn thrice. Thus, three lucky players gained 20 million zlotys each. Yet, those winnings were not the biggest for one player as the biggest winnings were above 30 million. Duży Lotek has been involved into intense rivalry since September, 2007 and its rival is Eurojackpot which is one of the biggest numeric lotteries in Europe. For the time being, it is available in 17 European countries; it now allows Polish players to play in a traditional way. Yet, it is worth paying your attention to the fact that Eurojackpot and other numeric lotteries known in the entire world are available via the Internet. Then, you can play Powerball or Mega Millions the American lotteries online or European EuroMillions, SuperEnalotto or UK Lottery. Even minimum first-tier winnings which can be gained on these lotteries are incredible. Meanwhile, the rollovers which had overcome one and a half million became history. Coming back to the topic of Eurojackpot, what winnings are guaranteed by this lottery? Playing Eurojackpot is based on picking seven numbers – 5 main numbers and 2 additional numbers. The main numbers are chosen out of the pool of 50 numbers whereas the additional ones are chosen out of the pool of 20 numbers. Picking all the seven Lotto numbers correctly means gaining a first-tier winning which has a guaranteed value of €10 million. Yet, like in the case of Duży Lotek, Eurojackpot also lures players with its rollovers. What these rollovers are! The greatest sums are €90 million. Providing such a rollover won’t be drawn, the pool will be divided between those players who gain a second-tier winning. There are 12 prize tiers altogether. Where can you learn the results and winning s of Eurojackpot and other lotteries? You can do it in the Internet! Here you can purchase tickets for particular lotteries, choose the lotto numbers with several clicks and, finally, check lotto drawing results. Due to the Lotto history available in the Internet, you have an access to the current drawing results as well as to the previous lotto numbers. It is impossible not to appreciate such a comfortable solution and not to use such a chance for gaining millions.